The new uniforms are now available. These will be required starting in 2019. Referees: as the game officials so you need to look professional. Yellow & Green Jerseys. 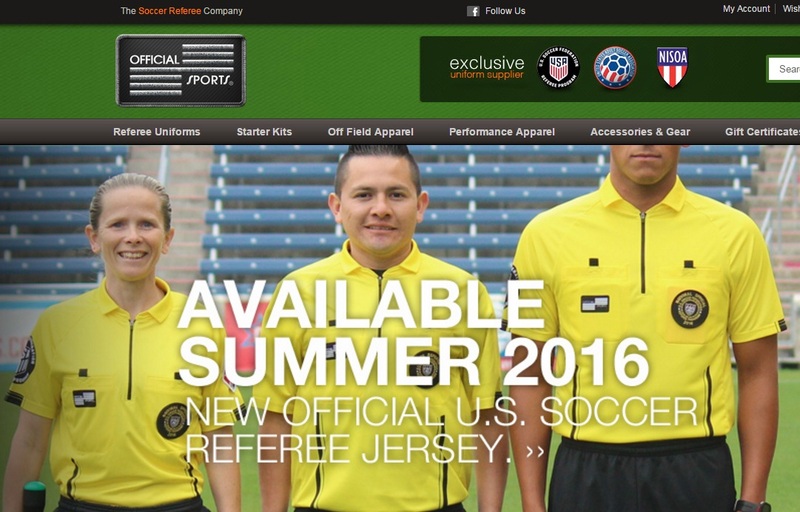 A third color jersey (Red or Blue) is required for State and National Cup. New style as shown below. Shorts shall be black with nothing but the manufacturer's logo. Socks shall be black with two (2) stripes. Velcro Disk - you attach this to the back of your USSF Referee Badge so you can remove it when you wash your jersey or when you wear a different jersey. 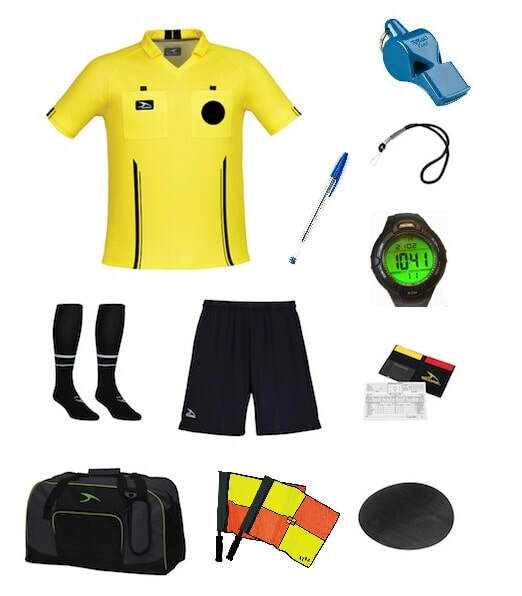 Two (2) Pens or Pencils to record the score, misconduct and complete the match reports. Sports Page Soccer Warehouse Inc.